For most people, last week’s heat wave in Sonoma County meant that the long-awaited summer had finally arrived, but for those of us monitoring endangered coho salmon populations in the Russian River, it meant panic. With the onset of summer, the lower reaches of many coho streams start drying up, stranding baby coho and steelhead. Sure enough, with the 90-degree weather on Friday, we got a call from one of our survey crews with the news that hundreds of young fish were trapped in shallow pools that would most certainly dry up within a couple of days. Fortunately, biologists from California Sea Grant, California Department of Fish and Wildlife and the Army Corps of Engineers were able to pull together a fish rescue team and got out to the site within a couple of hours. That afternoon, the crew rescued over 800 young salmon and relocated them to a part of the watershed that is known to remain wet all summer. While these fish were lucky, there are countless others that are lost each year due to drying stream conditions. Low streamflow is one of the most significant bottlenecks to salmon recovery in Russian River tributaries and improving streamflow is a long-term process that will involve all of us living and working in the watershed. 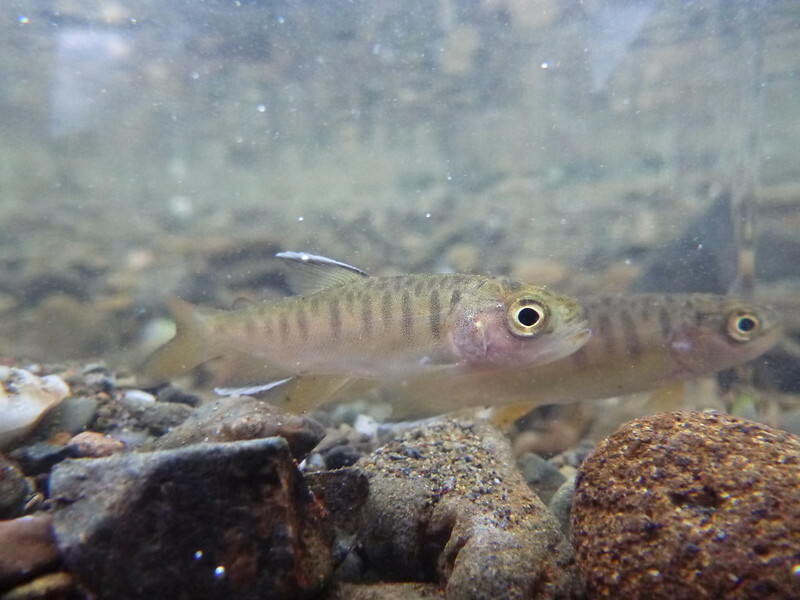 To learn more about some of the great work being done to improve streamflow, see our project web page, or read our new study on how much water salmon need to survive. Since 2004, California Sea Grant’s Russian River Salmon and Steelhead Monitoring Program has been monitoring populations of salmon and steelhead in Sonoma County with the support of thousands of local landowners throughout the watershed. Our goal is to provide science-based information to all stakeholders involved in the recovery of these critical native species. Our program supports the Russian River Coho Salmon Captive Broodstock Program, the statewide Coastal Monitoring Program, the Russian River Coho Water Resources Partnership, and other salmonid recovery efforts throughout the watershed.